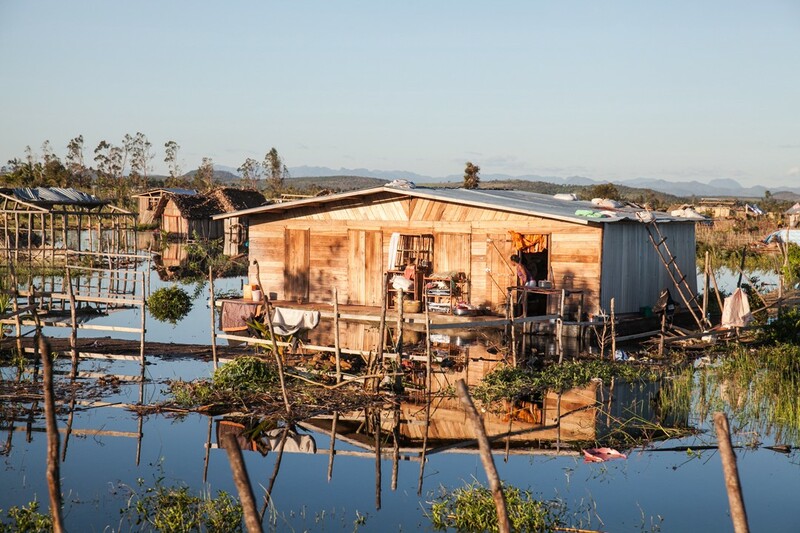 When tropical cyclone Enawo struck Madagascar in full force on 7 March 2017, Claudine, 55, lost everything. Since her children could not help her financially and without qualifications to find a job, she could only rely on herself to get by. 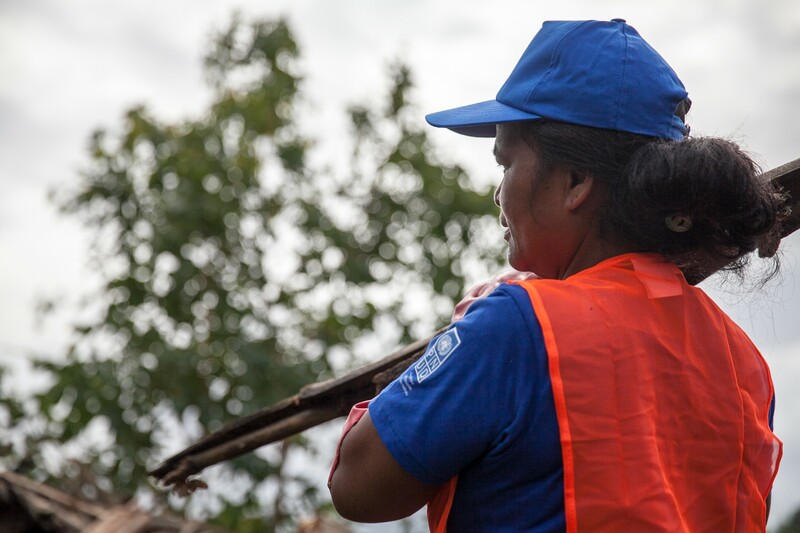 She joined the “Cash-for-Work” programme launched by UNDP to help the local economy recover. 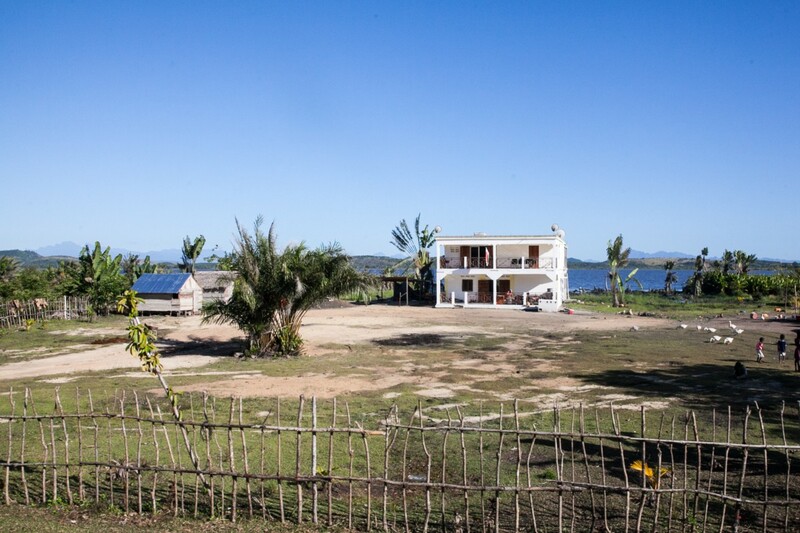 Before and after: Residents have the tough task of rebuilding along the north-eastern coast of Madagascar, the hardest hit by Enawo. 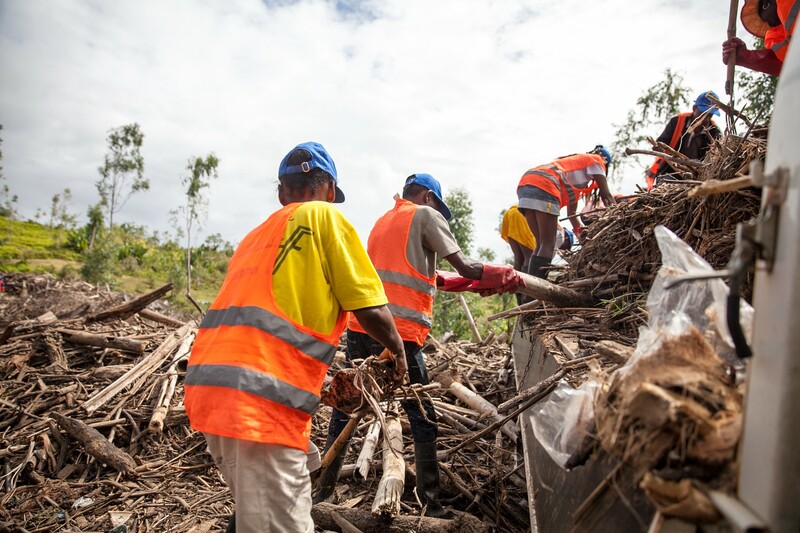 For the city of Antalaha — the capital of vanilla production — the 350 “Cash for Work” temporary jobs created to clear and recycle the debris left by the cyclone are a real breath of fresh air. Located right in the path of the cyclone, Antalaha was lashed for 36 hours non-stop by violent winds reaching 200 to 300 km/hour. 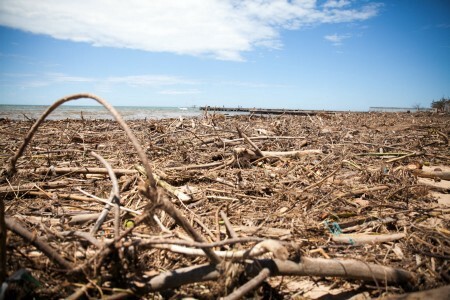 More than 170,000 tonnes of plant and animal debris washed up on its shores. Their degradation not only posed a health risk to the city but also limited access to the sea for relief efforts and the resumption of fishing activities. 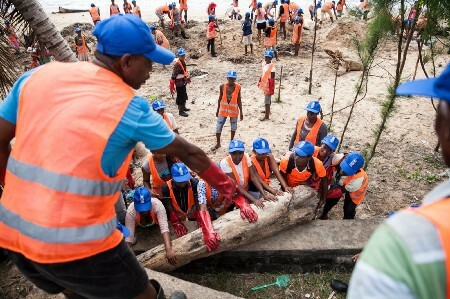 More than 170,000 tonnes of debris washed ashore on the Antalaha beach in the aftermath of the cyclone. 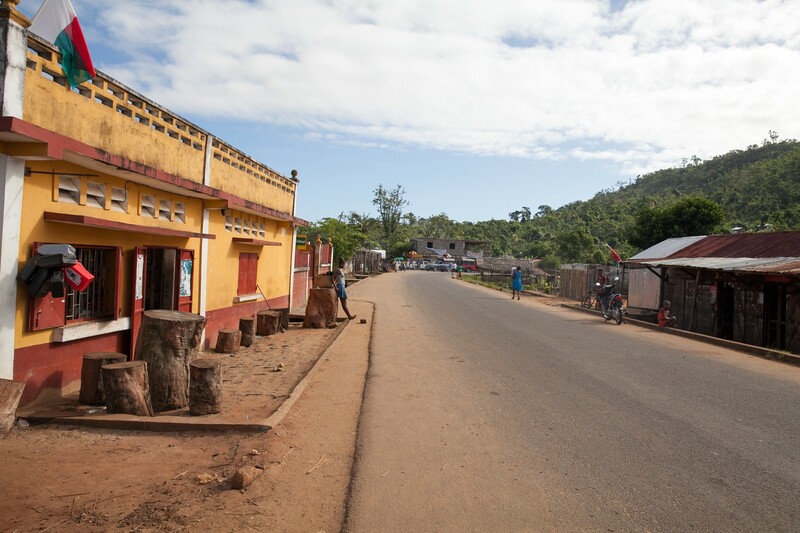 Emergency relief first… Then what? 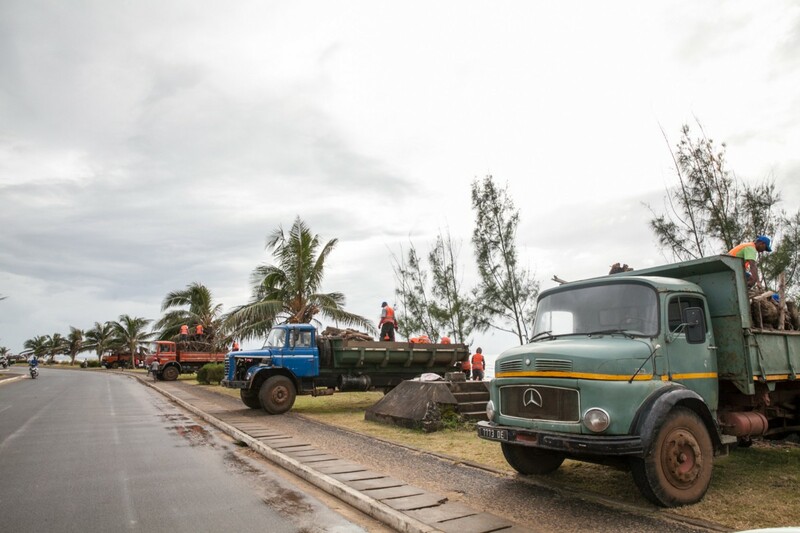 Port and fishing areas were the first to be cleaned to reduce health risks and facilitate access to the sea. 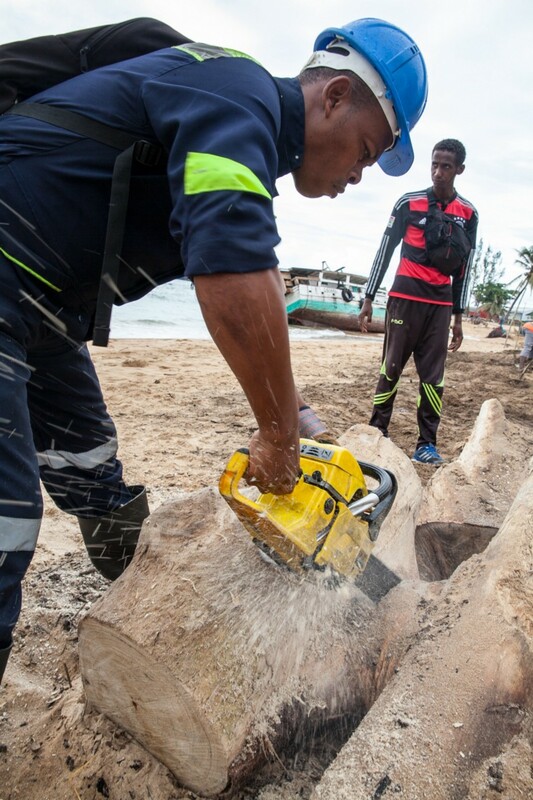 Chainsaws were used to cut the largest tree trunks so they could be removed from the beach. These temporary jobs not only help to meet basic needs but also revitalize activities and boost the economy by encouraging savings. Francky (centre) is one of five machinists who cut the tree trunks with a chainsaw before they could be moved to the recycling centre. 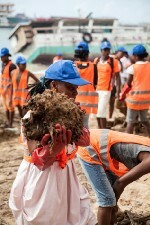 Activities are not limited to cleaning the beach. Trucks then move the debris to a landfill site where other workers handle waste sorting and composting. This ecological approach delights the vanilla growers, interested in this natural compost that will enable them to fertilize their fields. 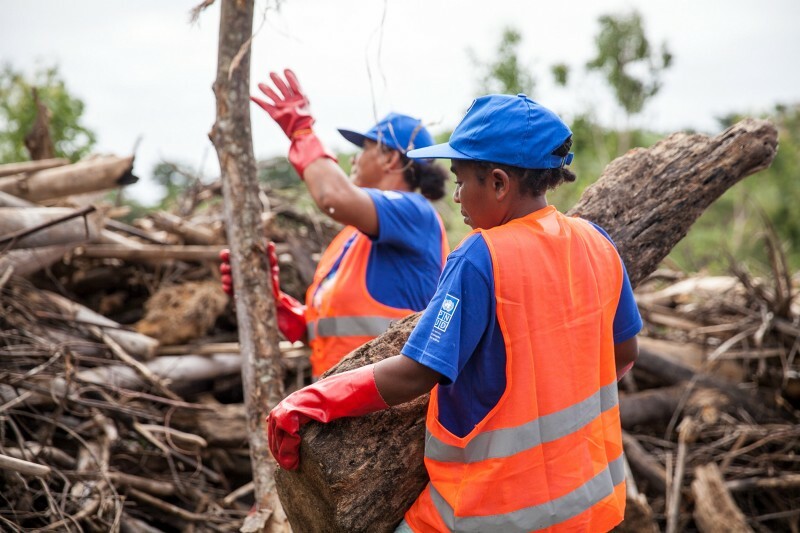 Twelve to 15 tonnes of plant debris are transferred daily to the sorting and composting centre, 5 km from the city of Antalaha. Marie Beby, 50, works at the landfill. For her, the early warning broadcast on the radio three days before the cyclone made it possible to limit the damage. 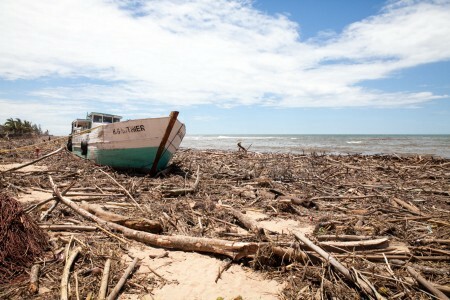 “We were not caught off guard for this cyclone. 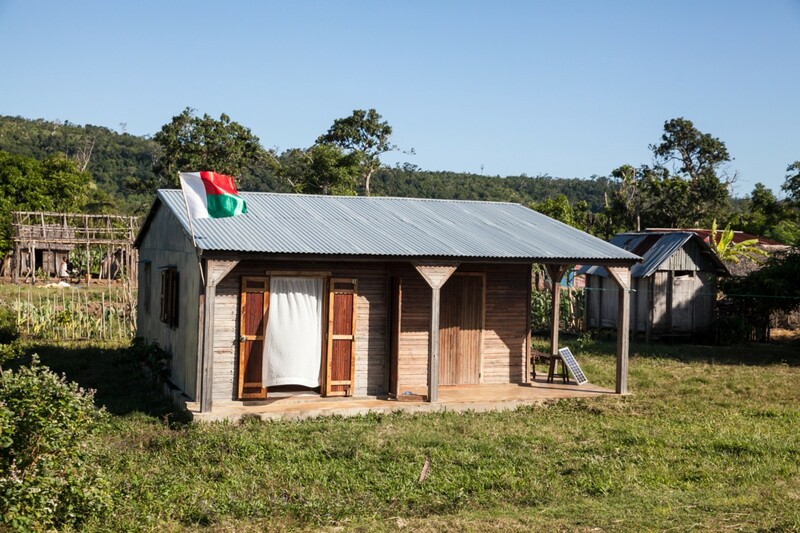 We prepared ourselves by putting sandbags on the roofs of our houses” — Marie Beby. 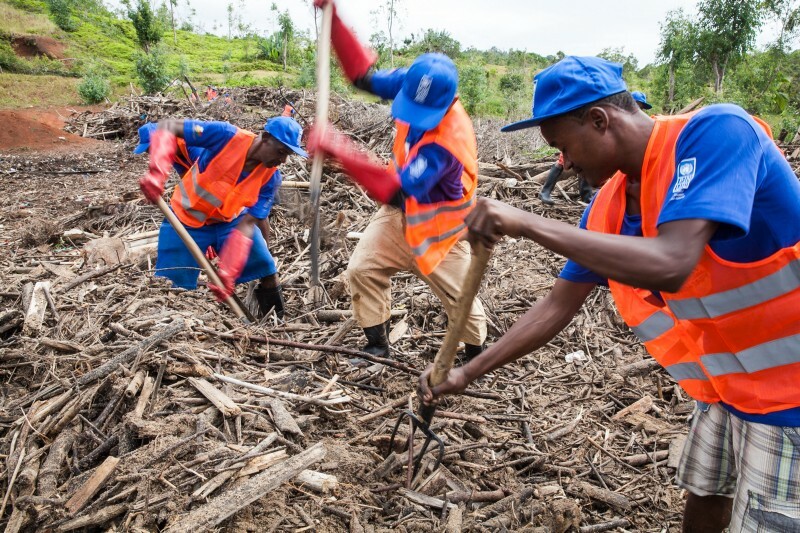 These temporary “Cash for Work” jobs also aim to promote savings that will allow participants to create income-generating activities for long-term self-sufficiency. 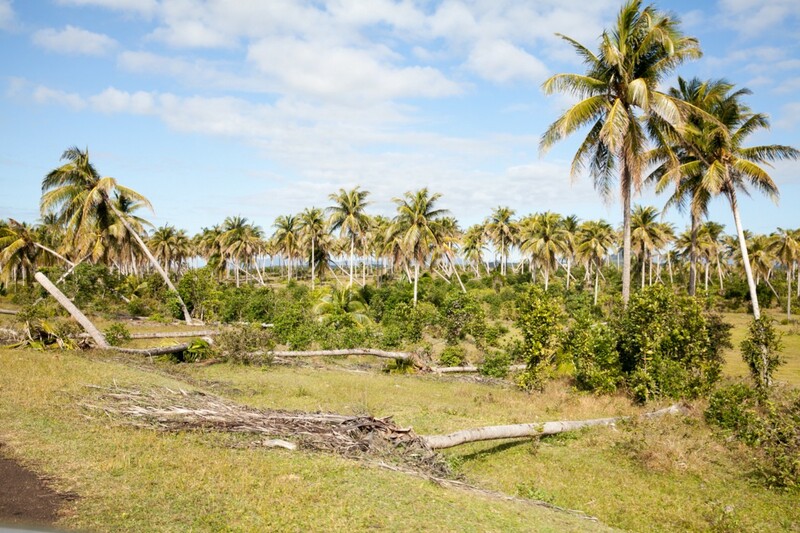 Four months after the cyclone, Antalaha is slowly recovering and getting back on the path of development. 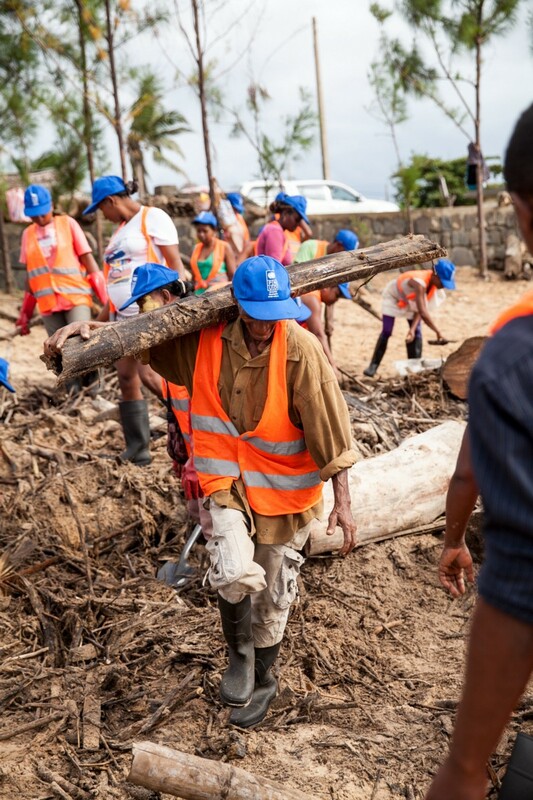 UNDP’s support in disaster risk management was crucial in equipping Madagascar with the necessary tools and mechanisms for disaster preparedness and response. 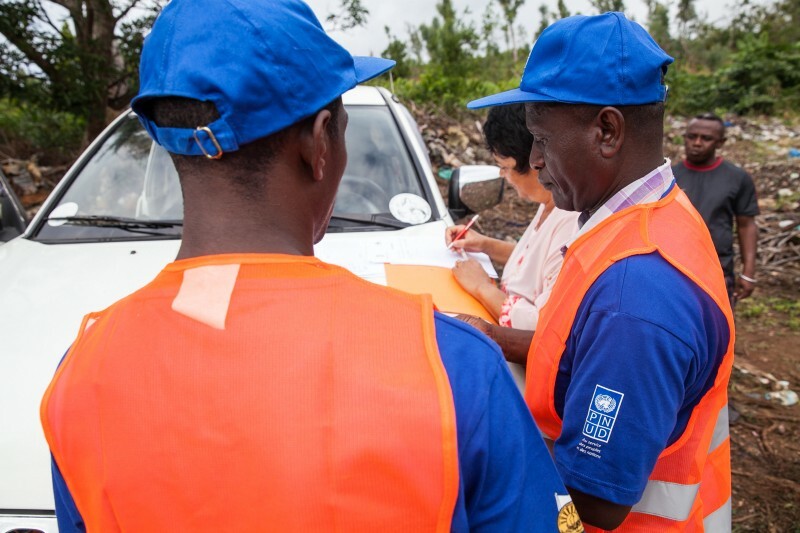 Training programmes have been developed for primary and secondary school students, as well as simulation exercises to better prepare institutions and communities to effectively face any natural hazard. 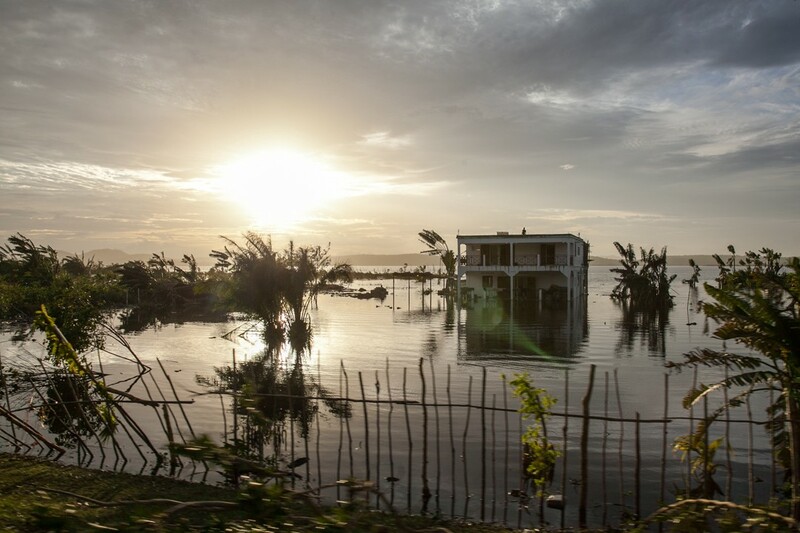 These initiatives improve institutional and household preparedness for disasters and limit human and material losses — a necessity for this island so vulnerable to major disasters.